At the top of the Real Estate Market, this avant-garde, modern home, features clean lines, open spaces, tech-trend energy efficient technologies, combined with refreshing elements of warmth and character; altogether resulting in a comfortable one-of-a-kind living space. Finished in 2019, in top residential community of the west side of San Jose, with top amenities like indoor tennis, soccer, gym, cycling, swimming pool, clubhouse, International School, as well as future Commercial Center with supermarket, restaurants, coffee shops and more, this home check all the boxes when it comes to location, location, location! 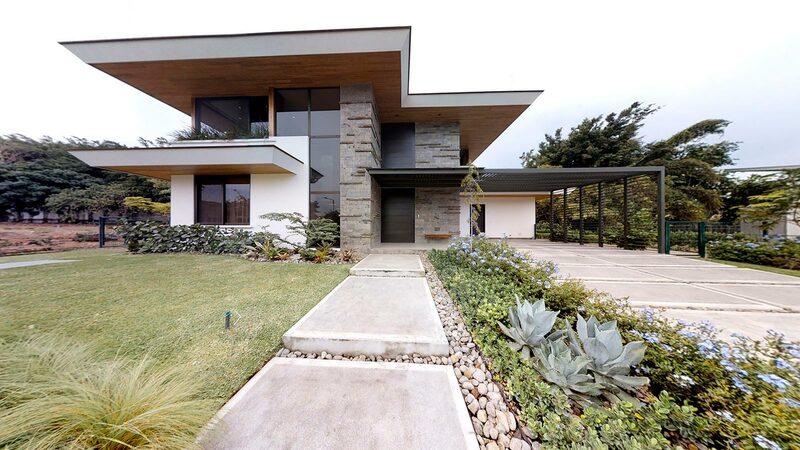 The impressive facade of this residence combines with subtle elegance elements of the landscaping with natural stone, wood, and glass providing a first glance of the extreme care and detail invested into the production of this home. Just by opening the door you notice the difference immediately... there's nothing like good modern interior design, ultra-high ceilings, expansive windows, lots of natural light, ahh... and good taste! You will never feel the need to leave the comforts of this home! A Great Room, integrating both living and dining areas with double height ceilings, welcomes you into a very functional social area: three areas converge through sliding glass doors... both the great room above and the kitchen come together into the terrace, making this home great for entertaining! The terrace is the central point of entertainment with a Built-in working area with a sink, a small fridge for drink storage, ideal to add a custom BBQ Grill, and plenty of seating areas for your social activities! There is also a half bathroom for guests. 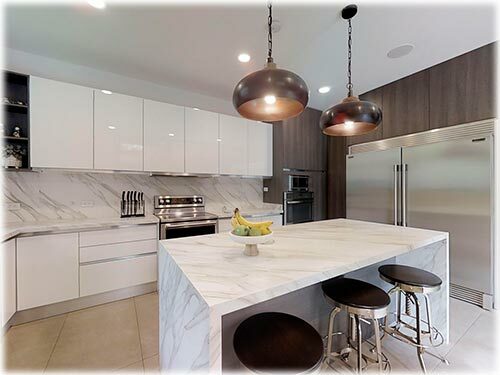 The kitchen by itself is a separate chapter, state-of-the-art, lovely and practical with lots of cabinet space, island / breakfast table, corridor-length closets, and stainless steel appliances! Behind the kitchen, there is a great size, super organized laundry room and maid's quarters connecting with the garage area. The family private wing one the house consists of 3 bedrooms and 2 bathrooms. Two secondary, generous size bedrooms, fully air-conditioned with wall-to-wall closets and large windows sharing one full stylish bathroom. Master Suite was designed to be at the furthest end of the house, as private as possible from the rest with it's private outside seating area... It has a large walk-in closet, a luxury Master Bathroom with all unique specially imported tiles, double vanity, modern fixtures, and cabinets. 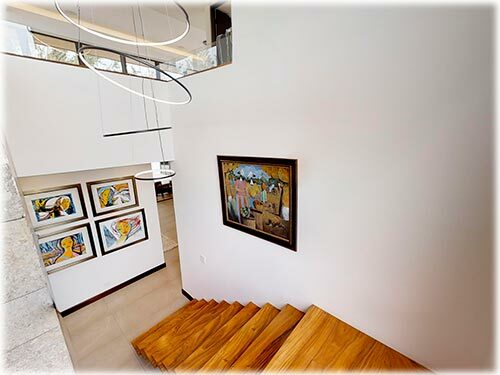 As all the details in this gorgeous home, the staircase was made in style with solid floating wood steps next to a stone wall and a panoramic window, making it a real delight to the eye. Living in Hacienda Espinal is a true advantage, not only for its easy access to Highway 27 and close proximity to hospitals, malls, and shopping centers but because it's newly built amenities are phenomenal!